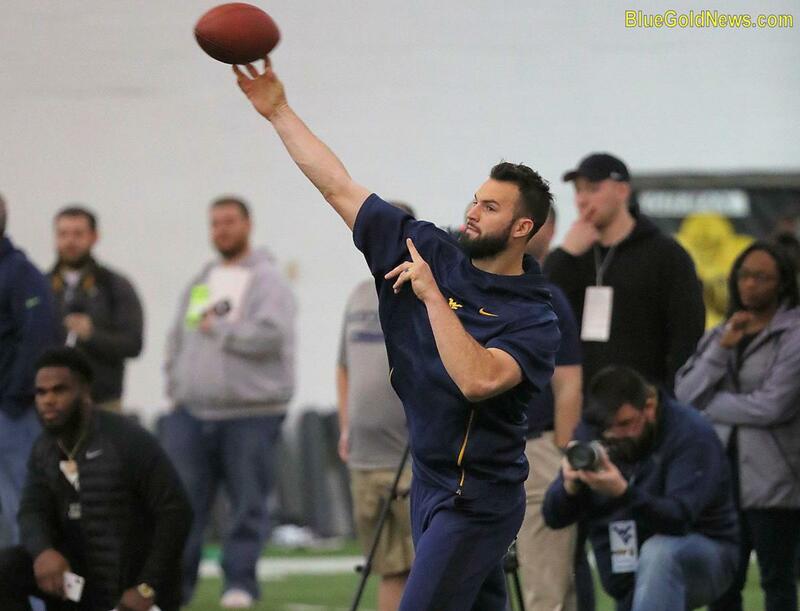 We have already reported that Mountaineer quarterback Will Grier “put on a show” at Pro Day, according to ESPN insider Adam Schefter. There were representatives from all 32 teams in attendance to take in Grier’s performance. This included head coaches Mike Tomlin, Jay Gruden and Pat Shurmur along with executives Kevin Colbert, Marty Hurney and Nick Caserio. This is according to Aditi Kinkhabwala of the NFL Media. It was also reported that Grier went to dinner with Panthers offensive coordinator Norv Turner and had steak and a salad. After that he went for sushi with Redskins coach Jay Gruden. There was no report on whether or not he went for dessert with another coach. Among the ten teams that plan on meeting with Grier are the Giants, Chargers, Patriots, Saints and Washington. During his senior season with the Mountaineers , Grier completed 65.7% of his passes and threw for 7,354 yards to go with 71 touchdowns and 20 interceptions. Will Grier isn’t the only Mountaineer garnering attention. Despite not being a main target at WVU, TE Trevon Wesco is getting attention for his size and athleticism. The Eagles asked him to do some extra working during the QB-WR script and impressed with his great hands and ability to run. TE Trevon Wesco (6-4, 270) is a big, strong body who wasn’t a main target at @WVUfootball last year (26 catches). But the #Eagles asked to see him do extra in the QB-WR script and he showed great hands, and a deceiving ability to run. Good day for him; remember that name. The Steelers and Patriots spent time with Gary Jennings Jr. and David Sills V yesterday before the Pro Day began. They both were also set to meet with the Saints and Lions. The #Steelers and #Patriots both spent time w/ @WVUfootball WRs Gary Jennings and David Sills yesterday, before today’s Pro Day. Both young men also met/are meeting w/ the #Saints and #Lions here. Steelers ILB coach Jerry Olsavsky was in attendance at the WVU Pro Day. WVU linebacker David Long Jr. ran a 4.45 40 and there has been speculation this is someone the Steelers have had their eye on. Will Grier mentioned that West Virginia will always hold a special place in his heart, but he’s ready to move on to the next chapter in his life. Plenty of Mountaineers will be coming off the board at the 2019 NFL Draft.